Did you know that businesses owned by minority women are the fastest growing segment of small businesses, and across all ethnicities, the number of women-owned firms is increasing faster than those owned by men? As president of National Business, AT&T Business, I lead more than 12,000 professionals who support business customers all over the world. Over the years, these businesses have continued to transform, diversify, and grow. For these businesses, as well as for my organization, I can’t emphasize enough how critical it is to factor culture into every conversation you have. And to do so both across the world as well as in our own backyards. I see the importance of this every day in AT&T Business. For instance, during a recent mentoring session, one of my colleagues from India asked me a question that prompted some reflection. She is a member of our AT&T Women in Business (AWB) employee network, for which I am the executive sponsor. Since launching in 2017, we’ve seen a great deal of interest from women seeking to develop into business leaders. We now have more than 4,300 members, across 45 states and Puerto Rico in the United States. We also have members from 23 countries. It’s a good question, and something I try to consider at every step. There are some basic things that vary by culture that we must consider when we think about how we can help women in different parts of the world advance. A growing multicultural workforce brings new, diverse perspectives to today’s business landscape and society as a whole. It is these differences that serve as the spark for innovation and fuel the potential for greatness. As we strive for the advancement of women around the globe, it’s critical to factor culture into leadership conversations. With that, here are my five tips for female leaders to nurture and grow multicultural businesses. Regardless of whether you set out to lead a multicultural organization or not, your business is one today thanks to modern technology. Through technology, we can stay instantly connected across the globe. We can use these channels to make a concerted effort to break down cultural barriers. Understand varying communication styles, be flexible for cultural customs and holidays, and strive to create an open dialogue. This dialogue is key to connecting with customers, communities, and constituents and to ensure growth. Women are a force to be reckoned with. We are powerful relationship architects, uniquely positioned with a natural empathy and well attuned to people and their needs. Most women innately possess these qualities, regardless of background or ethnicity. Every business is a relationship business and those who realize this and develop their talent accordingly will thrive—today and into the future. There is something to be said for valuing people and focusing on the positive impact you can have on others, whether they are your customers and partners or your family and friends. Each of our support networks (as the sum of all our relationships) serve as our foundation for success as well as for happiness. So, I encourage you to build relationships broadly and deeply—without letting culture be a barrier. Rather, embrace culture to strengthen and deepen relationships. Whether you’re running a global enterprise or a small business, your female employees need to feel safe. Safe to speak up, safe to work early mornings or late nights, and safe to grow. These needs may vary by country and culture, but it’s important to be aware of anything that impacts your female employees’ personal and professional safety, and to address these concerns appropriately as your company grows. Safety includes physical safety of course, but it must also include emotional and mental safety zones as well. Movements such as #TimesUp, #SeeHer, and #MeToo are paving the way, giving women a voice where in the past they may have been voiceless. We’re creating a forum where women of all ages, cultures, and practices feel empowered to speak out and lobby for change. Fighting for the empowerment of women transcends cultures and backgrounds. At AT&T, for example, we’re actively participating in the #SeeHer movement both within the walls of our company and out in the community. Stand for something as both a leader and a company that resonates with and uplifts your employees and as many around you as possible—whatever the cause. I strongly believe who you are is reflective of the company that you keep. Seek out customers and strategic partners that further your mission and inspire your employees. One example of this for me is our small business customer the Akola Project. Founded by Brittany Underwood, the Akola Project is a nonprofit jewelry brand that offers jobs and economic opportunity to women in poverty. With the support of her network, Brittany has grown the Akola Project from 10 to 500 women working in both East Africa and in Dallas, and the company distributes its handcrafted jewelry nationally. Brittany found her “tribe” and together they are making an incredible impact. No matter your industry, profession, role, or experience, there’s no doubt that diverse perspectives and opinions cut across today’s multicultural workforce and the growing global multicultural market. At AT&T, we embrace diversity and inclusion at the core of who we are as a company. This has immensely shaped who I am as a leader, and I encourage all women who own businesses to create an environment that’s welcoming and empowering for their employees, partners, and customers alike. 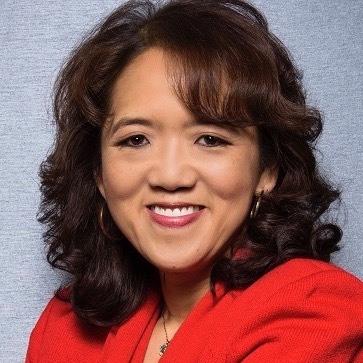 Anne H. Chow is president, National Business, AT&T Business. She leads more than 12,000 business professionals who support 95% of AT&T’s business customers nationwide. Across numerous AT&T Business segments, she oversees customer experience, management of direct and indirect sales channels, call center support, and DIRECTV for BUSINESS℠. She also owns the P&L for the small and medium-sized business market, covering over $13B in revenues. The post The Importance of Nurturing Multicultural Businesses: 5 Tips for Female Leaders appeared first on AllBusiness.com. Click for more information about Guest Post.